The drop in temperature on the Fraser Coast this week has not impacted the search for two crocodiles spotted by wildlife officers in the MaryRiver near Maryborough in April. 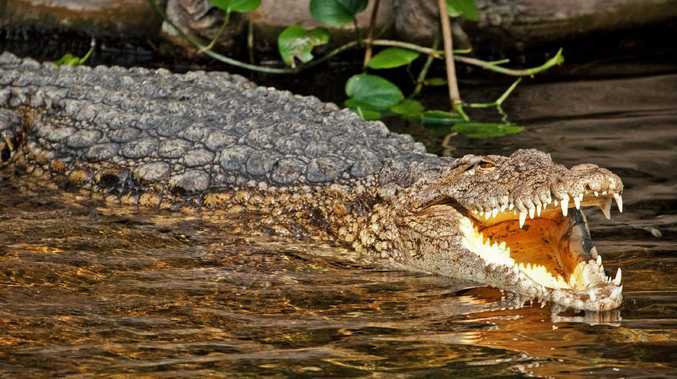 An Environment and Heritage Protection spokesman said wildlife officers were continuing their efforts to find the two crocodiles known to be in the Mary, one of them 4.5m long and the other 2.5m. He said it was important for members of the public to continue to exercise CrocWise behaviour at all times. A floating trap has been deployed at Graham's Creek and is being monitored by remote camera. Wildlife officers are re-baiting the trap on a weekly basis. People are urged to report all croc sitings to EHP as soon as possible on 1300130372.